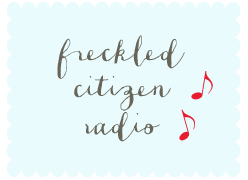 Freckled Citizen: Red chile and chocolate... need I say more? Have you tried Smitten Kitchen's red wine chocolate cake? It's not flourless, but it's a chocolate cake. made with red wine. So basically it is the perfect baked good. This looks pretty fabulous too! I'm not a big dessert person either. French fries, cheese, and potato chips w/dip are my favorite downfalls. Though, I do like the idea of dessert, and I like to make it for people. I'm thinking of making a chocolate cake this weekend. Peanut butter frosting. That appeals to me. What's funny about me and baking is that the things you don't enjoy about it, I find cathartic. I love the ritual of spooning and leveling my flour instead of dunking the measuring cup into the flour bin. I love knowing how things are going to react when I combine them. But I usually don't want to eat what I've baked. I'm back living with the folks again, and they do not understand or appreciate that sometimes I feel like baking at 10pm. It just calms me down. I much more of a savory person when it comes to what I want to eat or what foods are my comfort foods. Starches, salads, roasted meats etc. I'm a weirdo I guess. This is my kind of dessert too. Baking cramps my style/chocolate is good with chile:). i can't wait to try this...i love spicy chocolate desserts!